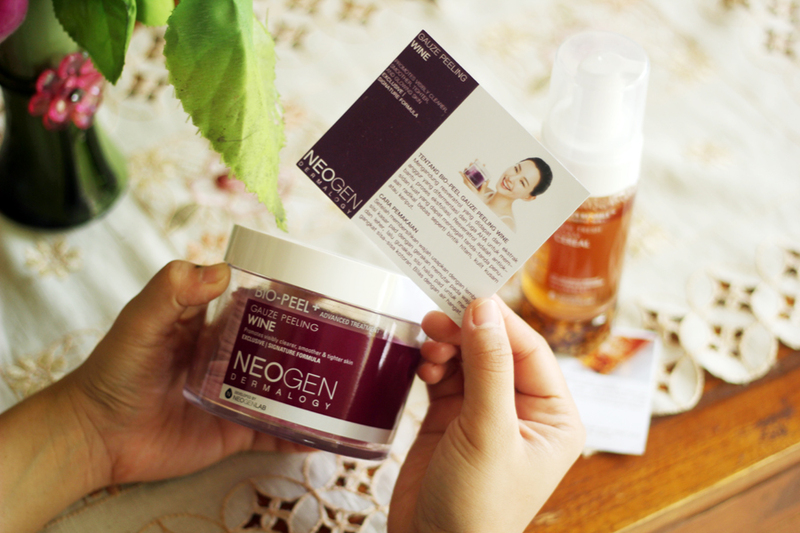 I’m a big fan of Korea beauty/skincare products and nothing gets me more excited than sharing with you my readers about a new and innovative Korean beauty brand: Neogen, the brand that has been leading beauty innovations. 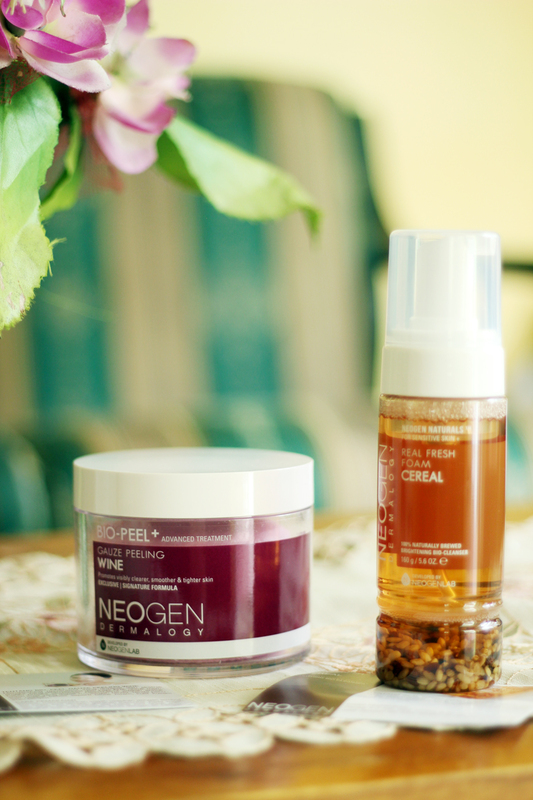 I was super excited that Clozette Indonesia gave me a chance to try out these products from Neogen because it’s been so hyped and so many have given amazing reviews for it (it’s been everywhere on Youtube, Instagram, blogs tho) so I figured that it was about time for me to see what the hype is about. You know what? One of my favorite steps in my skincare routine is exfoliating; this step gets rid of any dead skin cells for a smooth complexion. 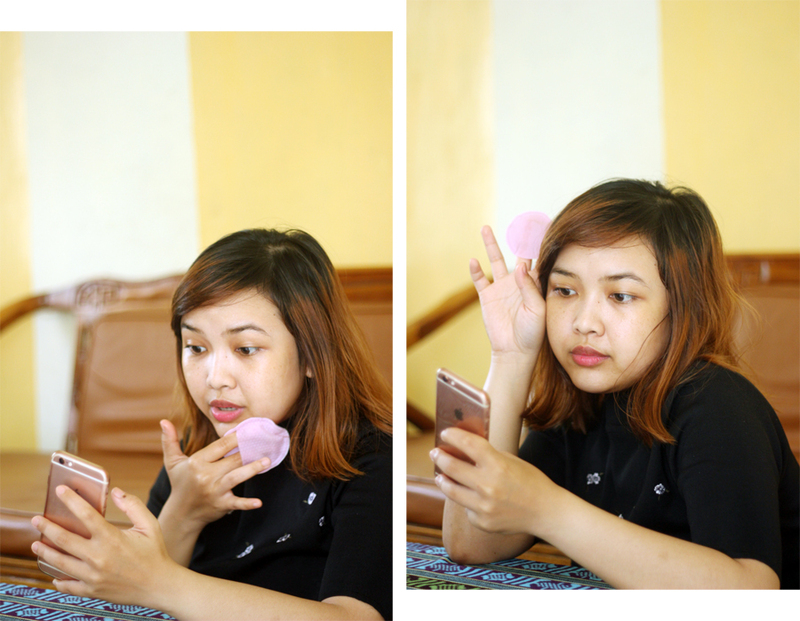 If you look for Korean exfoliating products, you’d find that most of the labels say “peeling” but now, there are a few different types of products for exfoliation steps. Now, the product I am about to rave is more than just an exfoliator. I was really glad I tested out this product. It’s very special exfoliating product because it involves a cotton pad that uses the latest skin care technology to create a triple layer exfoliating function that no other product has been done before that provides gentle yet effective exfoliation of dead skin cells and impurities, leaving skin smoother and clear. This would also be suited to most skin types as it’s quite gentle. This tub comes with a total of 30 pads and it’s recommended to use this twice weekly as needed. These innovative exfoliating pads are soaked in wine extracts (that contain the resveratrol; a powerful antioxidant which helps prevent free radicals from pigmenting or forming wrinkles on your skin) and exfoliants such as glycolic and lactic acid. When you open the tub, it smells like strong wine (it might be bad for those who don't like strong smell on their face). After washing my face at night, I take out one of the pads and slip it onto my fingers. There are two sides of the pad. One is more rough and the other is soft. I use the rough side first and gently rub in a circular motion around my face and neck. Then I turn it around and use the soft side to pick up the remaining debris or any excess dirt/dead skin cells. 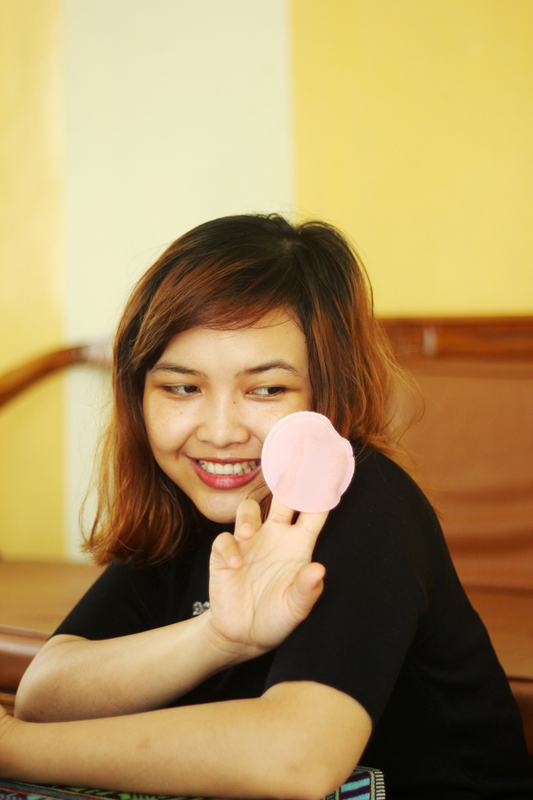 I use the extra on my elbows and knees (too good to waste hahaha) then throw away the pad. Rinse with lukewarm/cold water. After using this product, I actually saw the dead skin visibly on the pad which is a basic proof that it works. The directions say to rinse it off with lukewarm water but personally I like to use cold water as it helps to keep my skin and pores tightened. I also wait a few minutes first before washing my face. The next day after my whole night routine I feel like my skin is brighter and glowing not to mention my pores look a little refined (I noticed visible results after the first trial and I became hooked). I see improvements on my skin right away; the discolorations are fading and stubborn little bumps on the sides of my nose have disappeared. I have no issues with irritation either. I love this product so much that it suddenly became a holy grail status in my evening skincare routine. I totally understand why so many people like it so much. So much dirt came out! I felt so clean and refreshed! I absolutely would recommend this one! I know that it’s an expensive alternative to a standard scrub or peeling gel but this is so effective that I think it’s worth it. 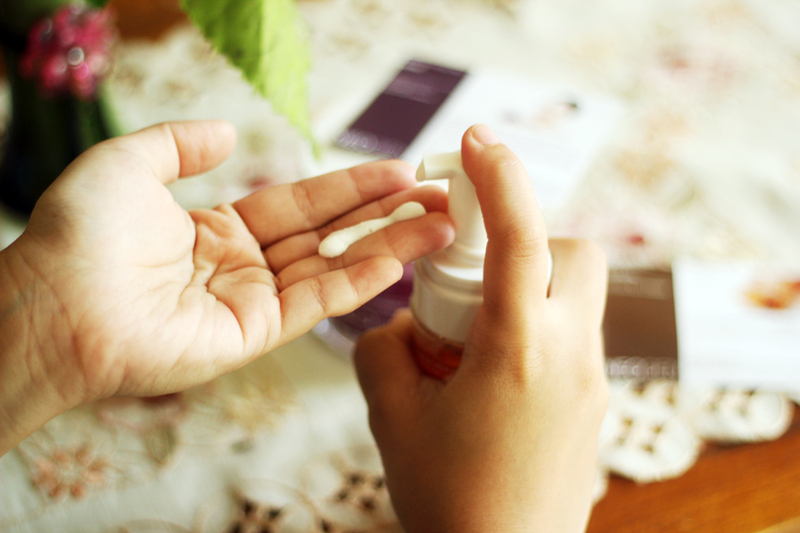 I also think that this is especially suited to people who are a bit lazy with their skincare. 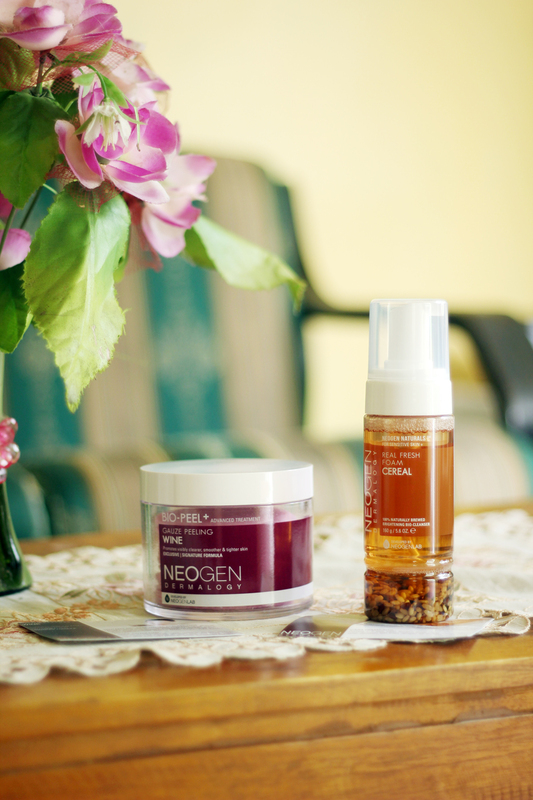 Have you known that fermented skin care is the future? This natural process makes your ingredients extra potent as they produce extra enzymes and vitamins that are good for skin and whole grains are a natural source of antioxidants and help brighten the skin. This foaming cleanser is unique because it contains real fermented rice seeds/whole grains and oryza saliva seed extract. The innovative formula is geared for all skin types, especially the sensitive ones to brighten and hydrate skin, it gently removes impurities such as sweat and dirt from the skin without stripping your own natural oils. 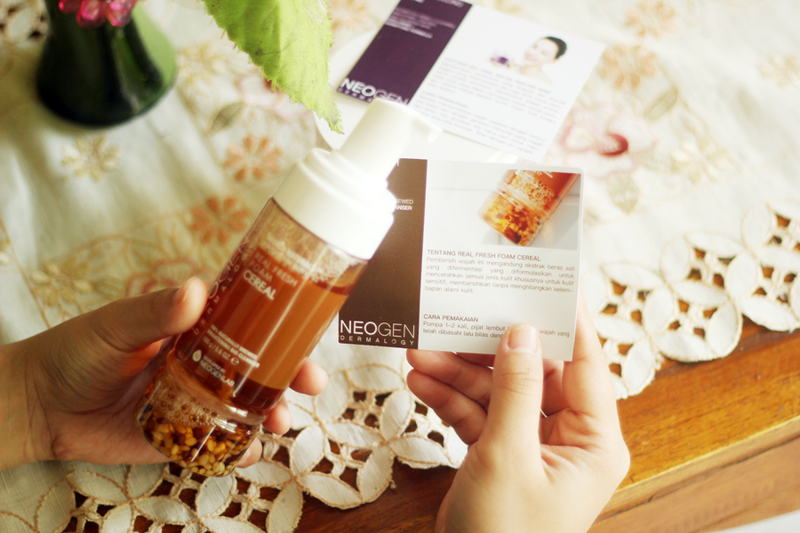 Now, I think this is the most innovative cleanser I’ve seen/had. Look at the base of the cleanser. You can see real whole grains in action as they ferment at the bottom of the cleanser itself, with that means your skin is getting the effects of the real grains straight from the source! I pump it into my hand about one or two times in wet condition on face and hands, then I massage the light airy foam into my damp skin gently for about a minute. Then I rinse off with lukewarm or cold water (the foam is very gentle on the skin). i've heard wonders of this neogen gauze peeling wine! i cant wait to try it out myself!